In 2012, my husband and I took the kids down to the San Diego waterfront for the annual “Big Bay Boom” Fourth of July fireworks extravaganza. As we staked a spot on the grass, I was surprised to see a couple with an Australian Shepherd puppy. Surely they’re planning on leaving before the fireworks began, I thought to myself. But as the lights dimmed and the crowd hushed, it became clear the dog was staying for the show. Unfortunately for all of us, someone had made a grave mistake. The entire stockpile went off simultaneously. Eighteen minutes worth of explosives detonated in 15 seconds. Even for those of us expecting a fireworks show, it was terrifying. With the blinding lights, resounding booms and the ground shaking, there was mass confusion. As the smoke cleared, I turned around and saw that poor little pup cowering as his shell-shocked owners packed up their belongings. Now, this was an extreme case, but I tell this story to make crystal clear, dogs do not belong at fireworks celebrations. July 5th is one of the busiest days in both veterinary hospitals and shelters, for many reasons: panicked pups bolt over fences, leading some to become lost and others injured; unattended food gets scarfed down, causing gastric problems; overheated canines experience heat exhaustion; and the list goes on. The good news is we know what to anticipate, which means we have the opportunity now to plan ahead to help keep the Fourth fun and safe for everyone. 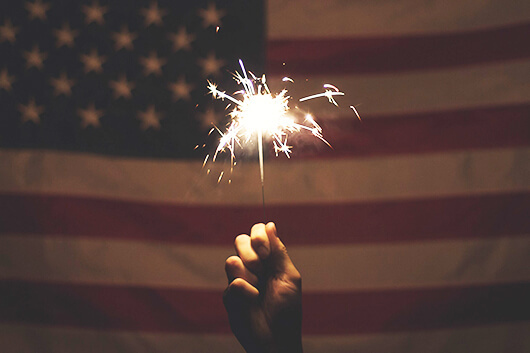 Here are my top five tips for a great Independence Day. 1. Watch out for “counter surfers”! Summer barbecues are delicious for us but full of hazards for pets. High-fat foods like burgers and hot dogs can cause pancreatitis, kebab skewers can wreak havoc in the stomach, corn cobs are a leading cause of GI surgery and ribs have bones that can splinter and pierce the intestines. Make sure all your people goodies are securely out of the way of nosy pets, and keep an eye out for party guests (especially kids) who accidentally leave plates in precarious locations. 2. Avoid glow-stick accessorizing. Resist the urge to put a glow stick around your pet’s neck. They really aren’t designed for pet use, chiefly because the liquid they contain can be quite irritating if ingested. Fortunately, there is another option! If you want your pup to look bright and patriotic, LED-lighted collars are designed to be both adorable and perfectly pet-safe. 3. Confirm your pet’s ID info. Is your pup’s tag and microchip up-to-date? 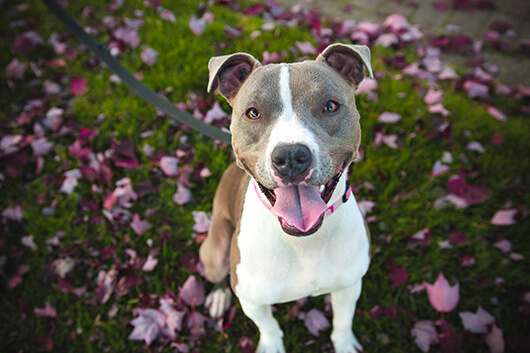 If you’ve recently moved or your phone number has changed, getting a new dog tag and calling your vet to update a microchip are inexpensive forms of insurance for potentially scary problem. When fireworks go off, even well-behaved, mild-mannered pets can panic and bolt. One of the main reasons pets languish in shelters after the 4th is due to incorrect or missing identification. 4. Provide a happy distraction. If you must leave your companion animal home alone when fireworks are likely, take some precautions to help minimize anxiety. Some may even surprise you! For example, some dogs find classical music soothing (check out ‘Through a Dog’s Ear’ online), while others enjoy TV. There are non-drug calming options such as the Thundershirt or a pheromone collar. 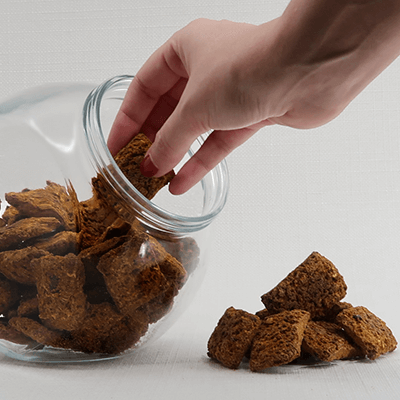 And, last but not least, try the tasty distraction offered by a treat-dispensing toy filled with Life’s Abundance kibble or treats! 5. Consult your vet before the 4th. If your doggo is prone to levels of anxiety that over-the-counter remedies can’t address, your veterinarian might prescribe medications to help him or her through the night. Here again, I can’t stress enough how important it is to plan ahead for this holiday! Vet’s offices are often slammed on July 3rd with pet parents in a panic asking for a new prescription, and it may not be available on short notice. While the Fourth of July can be a source of stress for many canines, it doesn’t have to be! As you can see, just a little bit of planning can make a world of difference. Be sure to check out the handy companion guide in our infographic post Fourth of July Safety Prep. 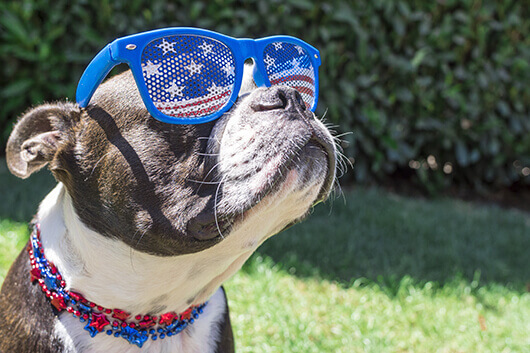 While the Fourth of July can be a source of stress for many canines, it doesn’t have to be! With Dr. V's tips, a little bit of planning can make a world of difference!